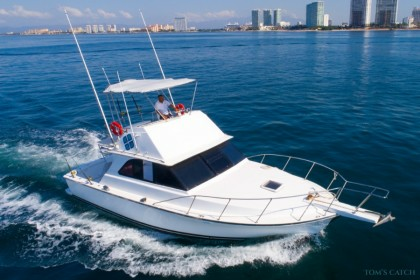 With its wide, open bay and access to the Pacific Ocean, you’ll enjoy the excitement of sport fishing in Puerto Vallarta and areas north and south of the Riviera Nayarit. 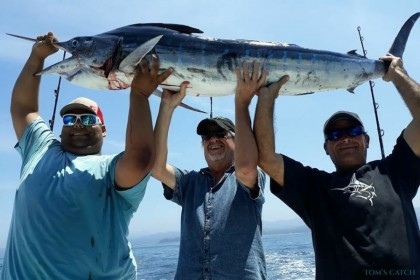 Nestled inside Banderas Bay, Puerto Vallarta has been a tourist destination for decades, but it has always been one of the best places to fish for Marlin, Pacific Sailfish, Tuna and Dorado on the Pacific coast of Mexico. 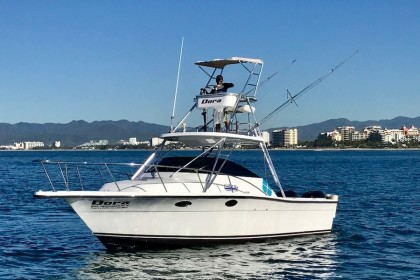 Because of Banderas Bay, Puerto Vallarta has a huge marina and lots of opportunities to go fishing offshore to catch that monster Yellowfin Tuna you’ve been dreaming about. Since the bay is so large, it does take a while to hit blue water, unlike other spots along the Riviera Nayarit, and south of Puerto Vallarta. 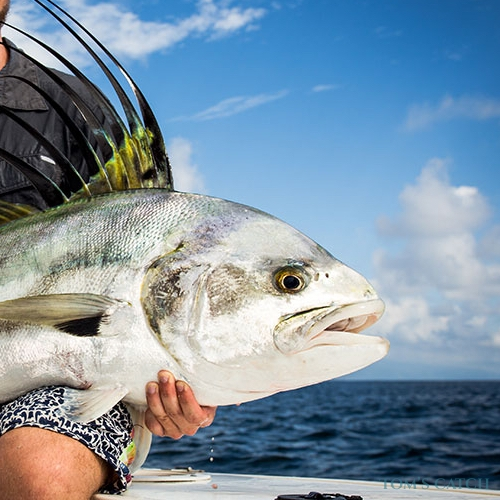 But don’t let that discourage you, the bay itself teems with many different fish species, and seasonally sailfish and smaller tuna do migrate into the bay. There is a lot of variety along this coast, with different species in high season almost every month. 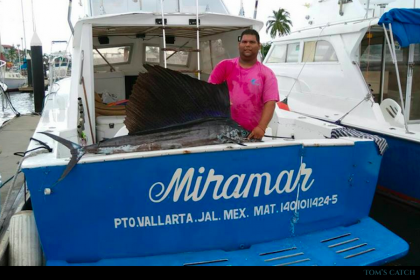 Local fishing captains say that the best fishing is found in 5 major grounds: Islas Marietas, El Morro, El Faro, La Corbetena, and El Banco. 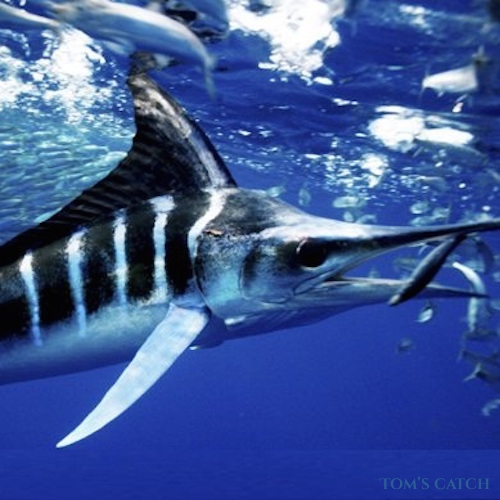 October through February are the best months for wahoo, dorado and roosterfish. 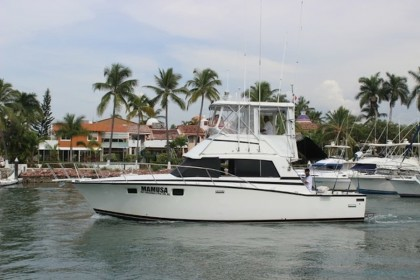 Yellowfin Tuna are hot off the coast of Puerto Vallarta in the spring months. Case in point, a huge 427.9-pound yellowfin tuna, that may be one of the biggest ever taken on rod and reel, was caught off of Puerto Vallarta in April 2012. 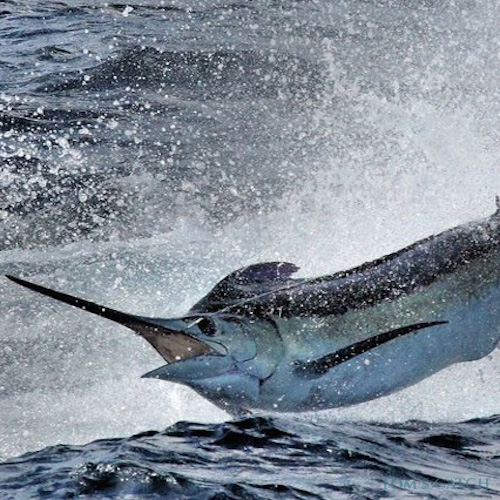 August and September are the best times for Pacific Sailfish, running offshore further south off of Manzanillo, Zihuantanejo, all the way to Acapulco. 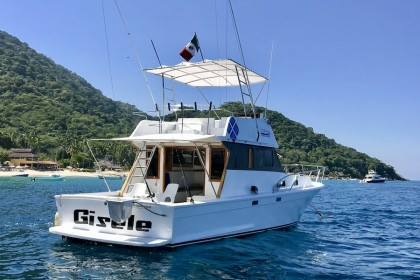 If you want a fishing adventure that is a little more rustic than resort, head southward towards Manzanillo and Zihuatanejo. 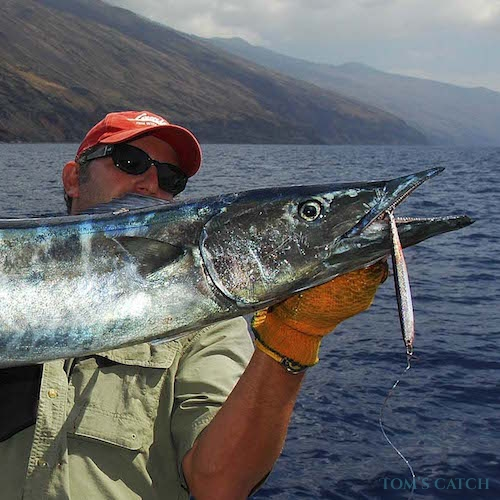 Along this stretch of coast you’ll find authentic fishing villages and comfortable hotels, and the fishing— sailfish and blue marlin bite year round, while stripes, tuna, and wahoo are plentiful in the summer months. 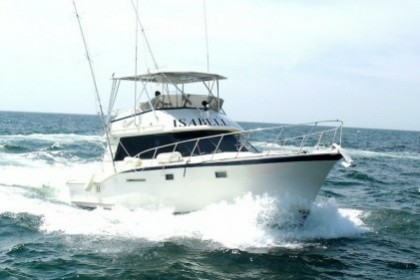 However, you may never want to leave Banderas Bay, as it is a world of fishing unto itself. With 50 miles of shoreline, the bay is so deep that humpback whales come here to mate every year. 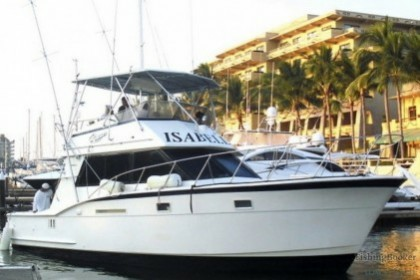 Inshore fishing here is huge, with yellowtail, grouper, jack crevalle, pargo, red snapper, roosterfish, and mackerel offering a nice variety for anglers of all experience levels. 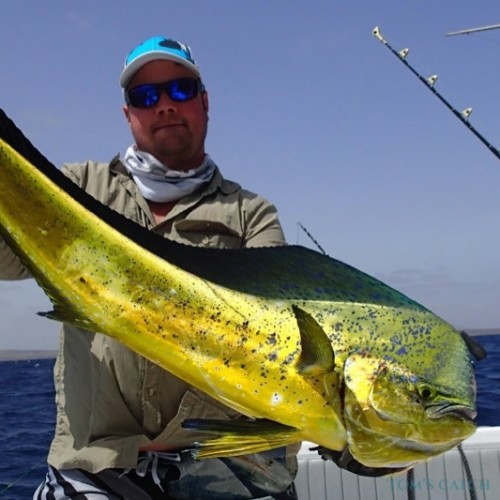 Fly fishermen are recommended to bring their own gear, but plenty of guides are available to take you out on pangas into Banderas Bay to catch dorado, jack crevalle, and bonitos. 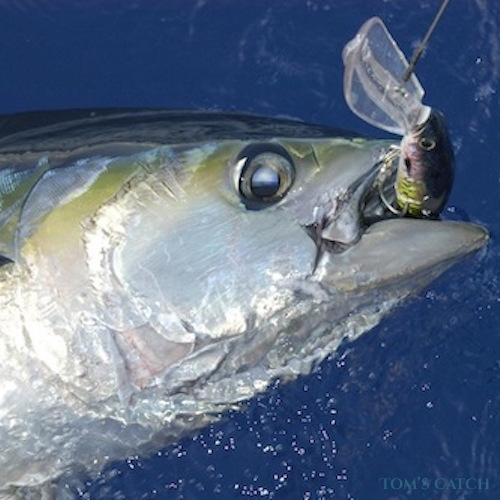 Local anglers recommend bringing 9-11 wt reels with mackerel and sardine flies, white and gold or white and silver for inshore fly fishing for dorado, roosterfish, jack crevalle, and bonitos. 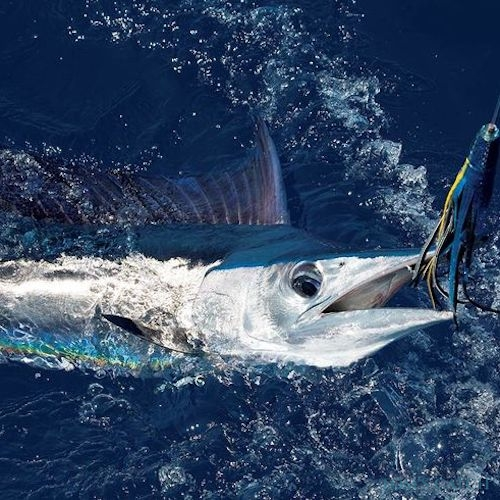 For offshore fly fishing for sailfish, it is recommended to bring 10-14 wt reels and pink and white flies. If fresh water fishing is more your thing, Laguna Cajon de Peña is a 7000 acre lake about 75 miles south of Puerto Vallarta in the middle of the Sierra Madre mountains stocked with largemouth bass. Whale Watching – Yearly from the months of December to March whales leave the Arctic to visit Banderas Bay to mate and breed, providing you with a front row seat to one of the most impressive experiences of your life. Although several whale species are known to frequent Banderas Bay and the Riviera Nayarit coast, the most exciting species is the Humpback Whale, considered the fifth largest in the world –thanks to its length between 12 and 19 meters– and a weight between 30 and 40 tons. Each year, between 300 and 500 Humpback Whales are registered around the Banderas Bay. Catch a glimpse of the whales by taking a whale watching tour on one of the many charter boats with biologists on board to explain and teach you the wonders of these creatures. 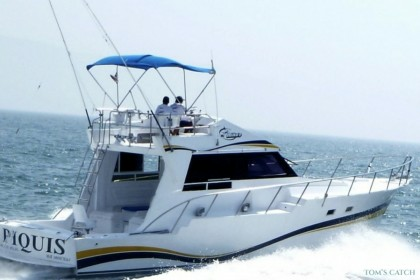 Los Arcos Marine Natural Area - offshore of Mismaloya, 12 km south of Puerto Vallarta. The area has been a National Marine Park since 1984. The area is protected as a breeding ground for pelicans, boobies and other sea birds. The park is a popular snorkeling destination both for the rocks themselves and for the fossilized coral beds that surround them. 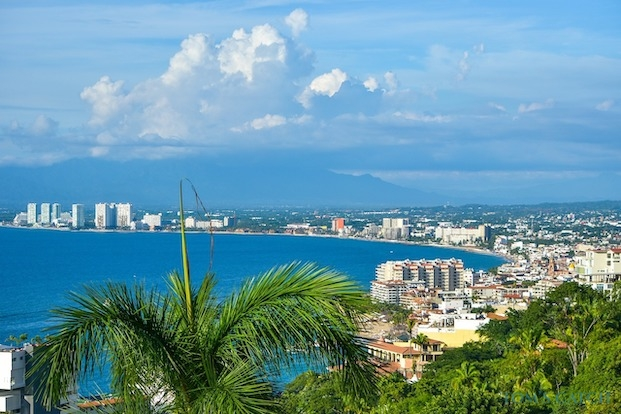 Vallarta Botanical Gardens is a popular and inexpensive place to explore and discover the lush orchids, agaves, cactus, palms, and other native plants in this area of Mexico. The gardens are located 14 mi (23 km) South of Puerto Vallarta on Highway 200. Buses for the Vallarta Botanical Gardens depart from the corner of Carranzas and Aguacate Streets in the Zona Romantica and are labeled as both "El Tuito" and "Botanical Gardens"
Ixtapa Archaeological Zone is an archeological site north of the town of Ixtapa along the banks of the Ameca River. The site comprises 29 mounds dating back several thousand years. The site is the oldest explored in Western Jalisco. The digs have uncovered a number of residential and ceremonial sites, a wealth of pottery (incense burners, bowls, amphora, etc.). Many of these objects are on display at the Rio Cuale Island Museum.